Improve the looks of your new Stingray with the Racemesh One Piece lower valance. 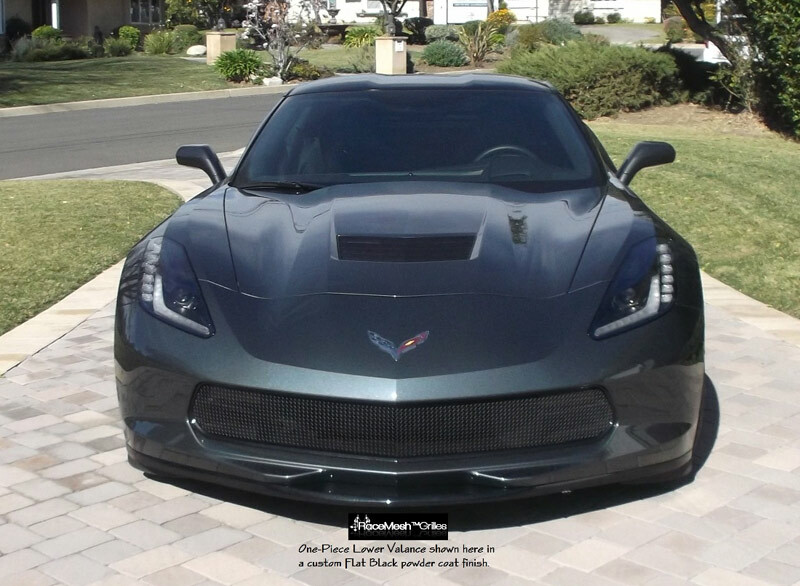 Racemesh Grilles for your Chevrolet C7 Corvette Stingray 2014+ are the perfect option to improve the aggressive looks of your Stingray easily. Available in a variety of custom finishes, you can be sure to stand out! Plus, Racemesh Grilles are Hand Made in the USA, ensuring quality fitment and long lasting quality. RaceMesh grilles are custom made to fit your car perfectly, so there is a 4-5 week lead time. These are full grille replacements, and not mesh replacements. Once the order has been placed, the order may not be canceled.